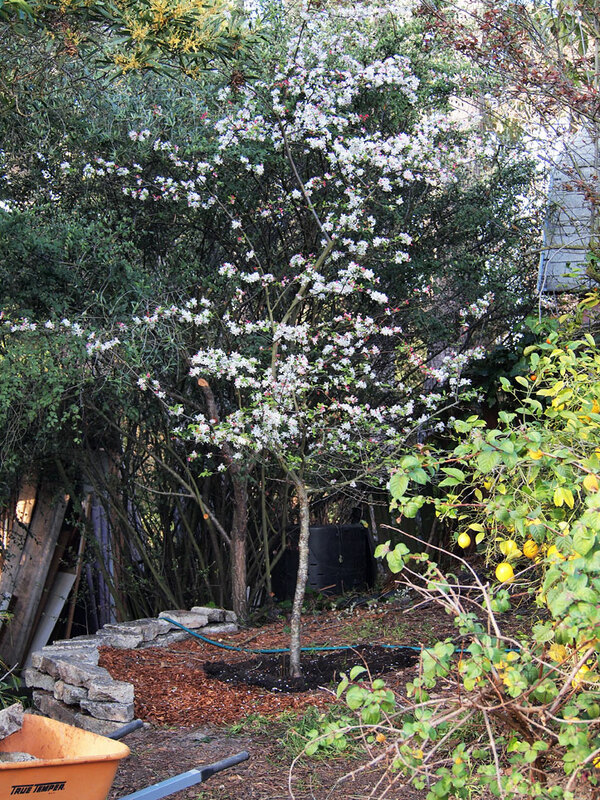 Here you see a retaining wall in process near the crabapple tree. Because my lot is on a steep (but, fortunately, south-facing) hillside, I need to terrace extensively. I learned from travels in Inca country in Peru that multiple small terraces are better than a few larger ones (this is one of my biggest). It’s also important to try to reduce the weight the wall is trying to hold back, so my fill is redwood chip mulch. Finally, it’s essential to allow water to run through the wall rather than trying to hold it all back, so I don’t make the stones too tight fitting. This wall is made from broken-up slabs that used to surround the swimming pool before we made it into a garden. 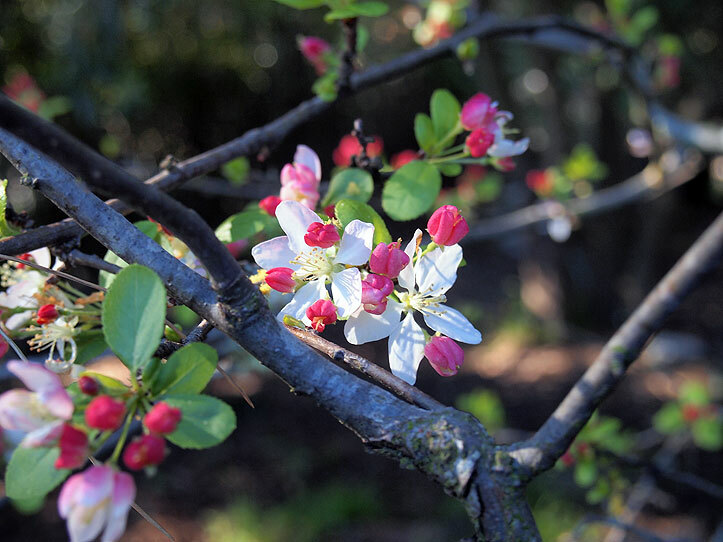 The crabapple is one of my favorite small trees, offering interest year round. But never moreso than in the early spring when it produces beautiful blossoms like these. The plum blossoms first, and the crabapple maybe a couple of weeks later.